Or, for a preview of what’s to come, Episode 1 is now #FREE on Amazon, Nook, Kobo, and iTunes. Thank you for visiting the website for my writing and Falls of Redemption, the first book in the Land of Gods trilogy. For free books, audiobooks, and updates, follow Justin’s Author Newsletter. Like maps? 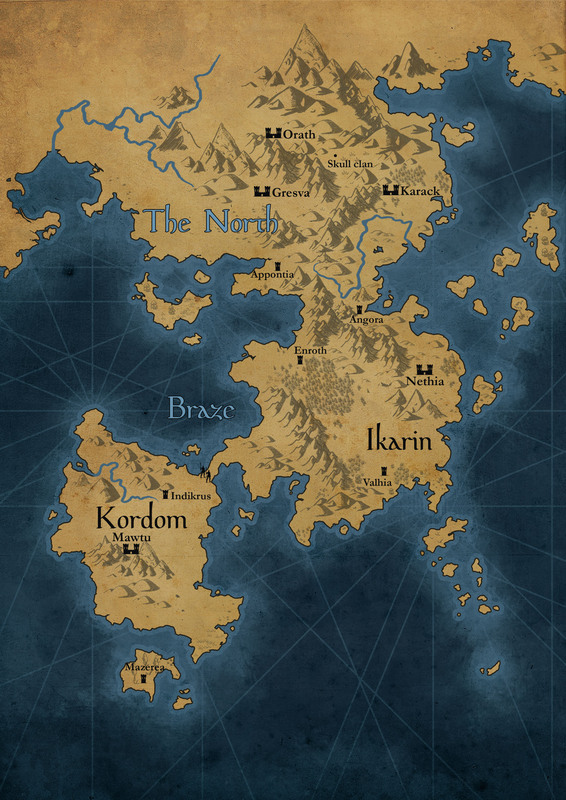 Check out the map to my fantasy world. As always, reviews are certainly appreciated! For the episodes of Falls of Redemption, visit my author page or get started with Episode 1.